I've pretty much had my hands full since little Henry arrived in March this year, so I put out a contest in cooperation with Northerner.com looking for female snus reviewers for this blog. It’s time to announce one of the winners. This might be every snus using man’s dream girl. Let me introduce you to beautiful Sarah Sorge, a loose-snus-girl. 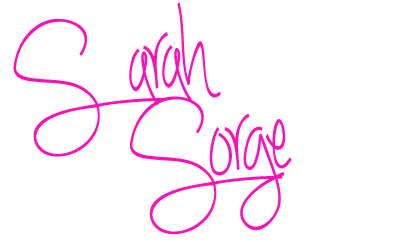 My name is Sarah Sorge. I moved from Australia to the USA in 2007 and was unable to find my favorite cigarette brand in the USA. I smoked a very light (1-2mg) cigarette and found no suitable brand or nicotine level in America. I smoked camel brand Turkish silvers for one year and came to the realization that my father’s heart deterioration and death was brought on by his pack a day 30+ years camel gold addiction. I did not want to die a suffering death like he did so in 2008 I started my quest for a safer alternative to cigarettes. I was also tired of my hair, clothing and breath smelling of smoke. YUK. I started with the pharmaceutical brand quit smoking products (patches and lozenges) which made me violently ill. They would cause vomiting, fever, body shakes and headaches. It turns out that I was having an allergic reaction to the artificial nicotine and im sure im not the only one! I went online and started reading blogs and articles and came across Snus. I honestly thought that my prayers have been answered and I made my first order. I could hardly wait for it to arrive I was so excited to try it. At first I did not like it at all and was unaccustomed to having something in my mouth all the times and the smell was strange and unfamiliar. The people on the snus forums I was on told me to hang in there and keep trying. I went from a combination of smoking and snusing every day and within a week I was just snusing and have never looked back! Snus is wonderful. It is so comforting to use it. To me its like eating my favorite meal, watching a great movie or reading a good book. It creates a euphoric feeling in my body and I would be lost without it. I especially like los snus. There is something special about using your ice tool and forming a pliable pris of snus custom made for your mouth. Roda Lacket is my personal favorite. I look forward to many years enjoying snus, reviewing snus and promoting it to women of all ages and locations. 3 comments on "New Snusgirl!" I am in love!! Will you Marry me??? Sarah - good to see you're still using snus! Hope all is well with you!